Gold color. Aromas and flavors of fruit cake, chive herb bread, and grapefruit marmalade with a supple, lively, finely carbonated, dryish medium body and a tingling, interesting, long finish manifesting elements of fiddle head fern, kumquat, and mango finish. A bright, hoppy pale with excellent balance and palate waking astringency. Bottom Line: A bright, hoppy pale with excellent balance and palate waking astringency. 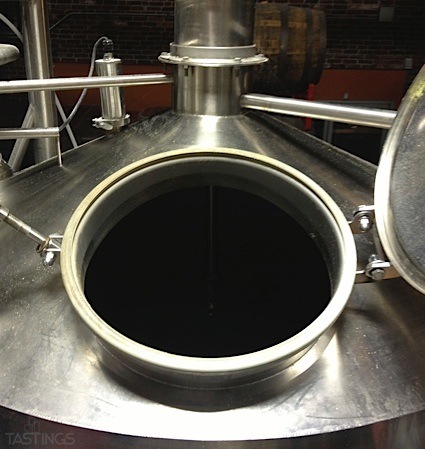 Despite their name, pale ales tend to appear amber in color. They range from 4.5-6% in alcohol and feature crisp, full-bodied flavors and aromas. U.S. versions of pale ales are crisper and feature a higher hop profile than original English versions of the style. Pale ales have become one of the benchmarks by which craft brewers are judged in the US. Noteworthy examples of this style include: Goose Island Green Line Pale Ale, Oskar Blues Dale’s Pale Ale, Great Lakes Burning River Pale Ale and Sierra Nevada Pale Ale. 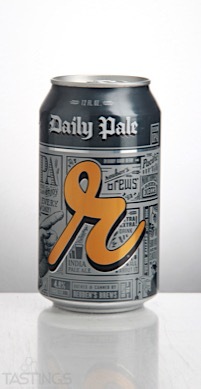 Reuben’s Brews Daily Pale rating was calculated by tastings.com to be 90 points out of 100 on 4/7/2017. Please note that MSRP may have changed since the date of our review.